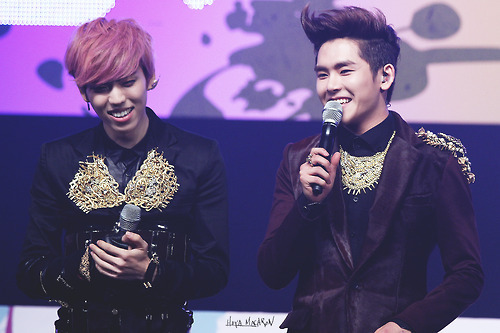 Infinite H Would Like to Introduce Their "Special Girl"
Let me come clean right off the bat, okay? I have never, ever kept tabs on anything Infinite has done or is about to do. Well, except their logo, because it’s pretty awesome. But other than that, I know nothing about Infinite. Nothing about the members, what their roles are, where they come from musically, or who excels at what. Their past discography has never done much to win me over, I’ve never cared much about their stage performances, they never stuck out to me particularly in any one show I could maybe recall. In short, I guess what I’m trying to say is, in all my years as a K-pop fan, I really could’ve cared less about Infinite. Like oh my God really; like I needed another reason to get distracted from all the work I need to get done. Woollim is doing it right. I don’t know if it’s because Hoya is so awkwardly adorable, or because Dongwoo is way too damn cute for his own good, or because the song is both so fresh and so smooth, or because the the choreography is just on point, but Infinite H’s “Special Girl” has me smitten. The story to this one is easy: boy likes girl, but is too shy to tell her, so instead he belts out a three minute fantasy about being with her. We open to Primary mixing the beats and the boys warming up to steal some hearts. We shift to Hoya at work, I assume, but he’s failing at it because he totally has the hots for the female lead. Off camera, so to speak, Hoya plays up the goody two shoes who is too shy to even look straight at this girl. On the flip side, Dongwoo is the bad boy busybody who has found himself gushing at the thought but fumbling at the sight of this special girl. And the story goes on. I suppose the idea here is focusing on falling in love rather than love itself; the exciting sense of something new and beautiful in your life that the song so brilliantly captures. Bumkey’s feature in this number helps tie the harmony into the chorus and brings the jingle full circle between Hoya and Dongwoo’s relatively coarser tones, crafting the sweetest ode to a beautiful woman that I’ve heard in a long time. Overall, I thought the song was perfectly simple and endearing. Oh, and for those of you who are hearing Dongwoo say “gay appeal” (c’mon, I know you know that you thought that’s what it was, I thought it too), he’s actually saying what could be romanized as ‘neo ege appeal’ (“…너에게 어필”), the whole lyric translating to “In order to do so, I need to appeal to you.” So, no ‘gay appeal’ here. Sorry if that got your hopes up. The only part of the MV that I think sort of disrupted the simplicity was the graffiti/grunge aesthetic in a few opening and middle scenes. It wasn’t so saturated that it threw me off, but I did think they were somewhat unnecessary. The wardrobe was already pretty edgy and eye catching, so I didn’t see why there needed to be whole other sets to highlight that aspect of the MV. What do you guys think? 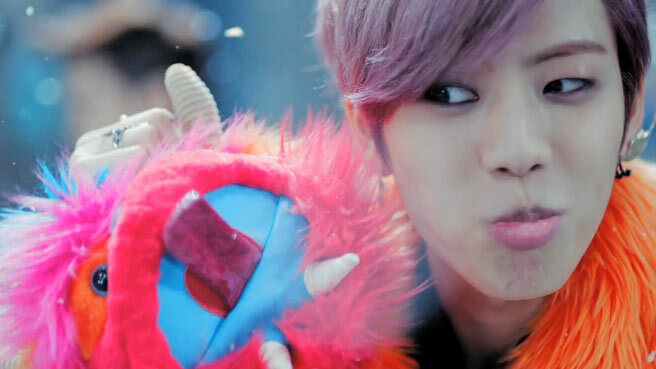 And please don’t hate me for being late to this Infinite hype, okay, a girl can only love so much at one time.